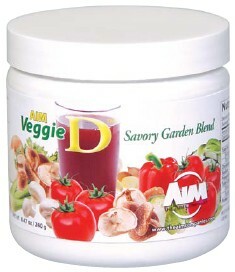 An exciting new ingredient and an exciting new taste have come together to form the new Veggie D™ from The AIM Companies! 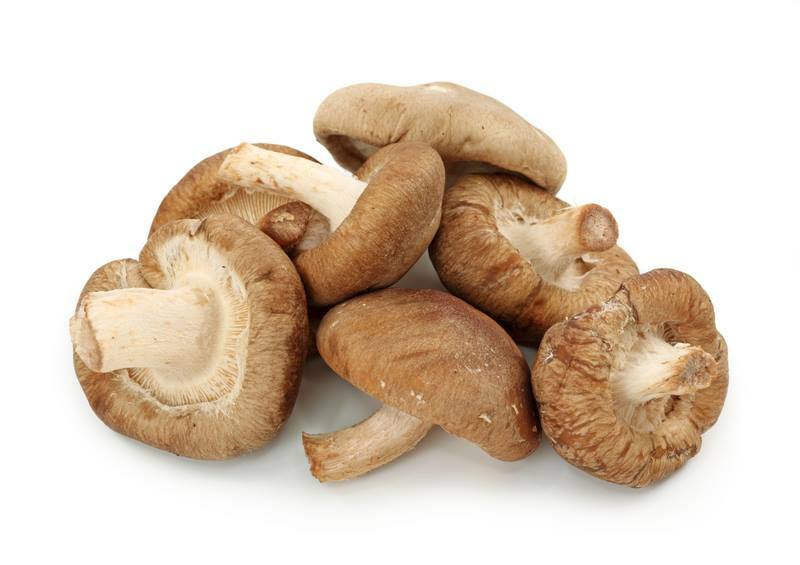 A vitamin D powerhouse, Veggie D derives its D from an all-natural source never before found in a beverage: shiitake and button mushrooms. Combined with a blend of twelve vegetables and lycopene-rich tomatoes, the mushrooms give Veggie D™ a savory taste — smooth and rich in a beverage concentrate or hearty and full-flavored in a soup or sauce. The new Veggie D™ is unlike any other vitamin D product you can find, and it gives this product lineup a savory, satisfying taste treat. The Science Behind The Product: Few companies can boast an all-natural, food source of vitamin D. And none can say their D comes from both shiitake and button mushrooms. The AIM Companies is the first. Veggie D™ provides 500 International Units (IU) of vitamin D per serving, 126 percent of the Daily Recommended Intake (US). The AIM Companies™ chose mushrooms as a source of vitamin D2 over animal sources of vitamin D3, which are primarily derived from lanolin or sheep wax. Wild mushrooms naturally create vitamin D2 when exposed to sunlight. Commercially grown mushrooms are grown in the dark and only contain a minimal amount of vitamin D. AIM’s mushrooms are exposed to UVB light, which simulates natural sunlight exposure. After this short exposure to UVB light, the mushrooms are dried and milled into powder. The Nutrition Benefits of Veggie D™: With 500 IU of vitamin D per serving, Veggie D™ is an ideal source of this essential vitamin and one of the healthiest alternatives available. The importance of this sunshine vitamin is growing as research mounts as to vitamin D’s benefits for osteoporosis, high blood pressure, cancer and several autoimmune diseases. The most commonly known benefit of vitamin D is that it aids in the absorption of calcium, helping to form and maintain strong bones. In addition, it works in the body to modulate cell growth, boost immune function and reduce inflammation. Many cells have vitamin D receptors. This explains the vitamin’s many benefits. Deficiencies in D are common due to lack of sun exposure and the few naturally-occurring whole-food sources of the vitamin. Such deficiencies can lead to heart disease, obesity and diabetes. Without D, bones can become thin, brittle, or misshapen. Upwards of forty million adults in the United States have or are at risk for osteoporosis, which is most often associated with poor calcium intake and absorption. Children must be careful, too, as a vitamin D deficiency may result in rickets, a disease of the bones. Veggie D’s other nutritional calling card is lycopene, a pigment that gives tomatoes and other fruits and vegetables their red color. Lycopene acts as an antioxidant in the body, protecting against free radical damage. The most common association with lycopene is with the prostate. Several studies have shown that lycopene helps lower the risk of prostate cancer and may increase energy. Its antioxidant properties also help with reducing bad cholesterol and protecting against infertility, osteoporosis, and eye diseases. Veggie D™ has a savory, hearty taste. The vegetable and tomato mix lends a robust flavor that works well as a nutritious beverage, a complementary mix-in or a tasty ingredient in foods. On its own, Veggie D™ has a rich taste with veggie ingredients that pop. Combined with other AIM vegetable concentrates like BarleyLife or the garden Trio, Veggie D™ complements the products. Whether you try Veggie D for its savory taste, its vitamin D delivery, or its fourteen natural food ingredients, you won’t be disappointed.